Erin is our Marketing Manager. 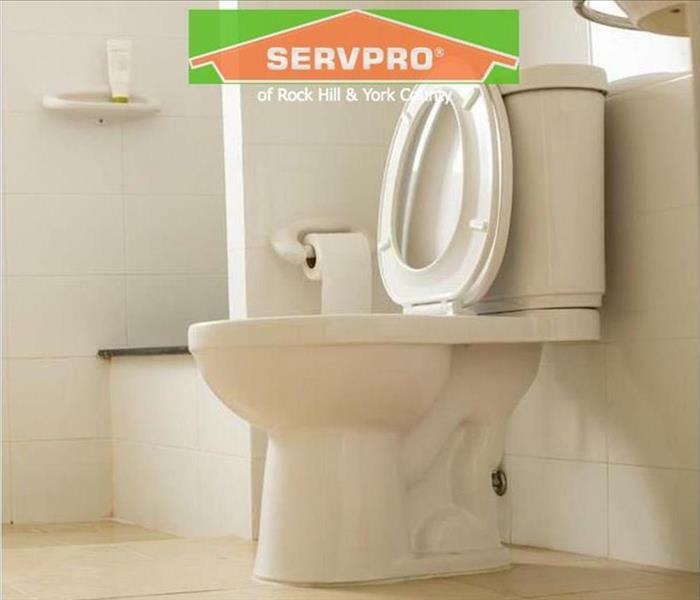 She has been with SERVPRO for almost 2 years. 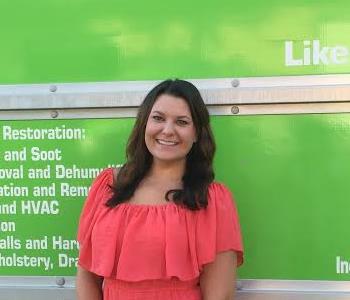 She moved from an Alabama SERVPRO to our office in September 2015. 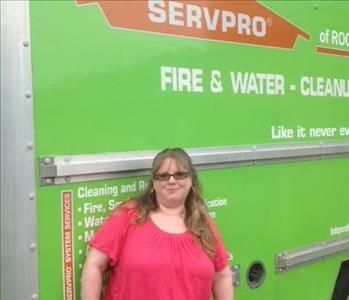 She has completed her ECPT classes and loves everything that SERVPRO has to offer. She is originally from Catawba, SC and grew up in York County her whole life. She moved back to York County after 7 years and is so excited to be home and with a company she loves. She has 4-legged fur baby named Tipper. Her favorite color is salmon; ironically her favorite fish is salmon too! She loves to travel. She is an ambassador for The York County Regional Chamber of Commerce, where she meets new people every week. Jen is our Office Manager. She has been with our office for 6 years! She handles job file uploads, xactimate estimates and homeowner questions. She also works closely with insurance adjusters to make sure they have all documents and information they need to process insurance claims. Not only does she do a great job in the office, but she keeps our crew together. We would not be able to do what we do without her. Jen is originally from New Jersey. She has two awesome daughters, one in college and one in the 6th grade. Bruce is the go to guy if you have a large commercial property that has suffered from water, fire, mold or any natural disaster. He has performed many large loss jobs and always is ready for the next challenge that is put in front of him. 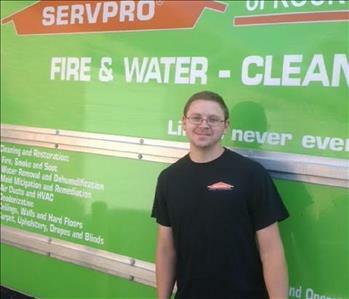 Bruce is also a member of the SERVPRO National Disaster Recovery Team. 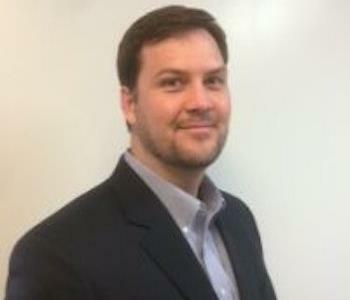 He is in charge of any large commercial disasters in our area and has yet to come across a job he could not handle. 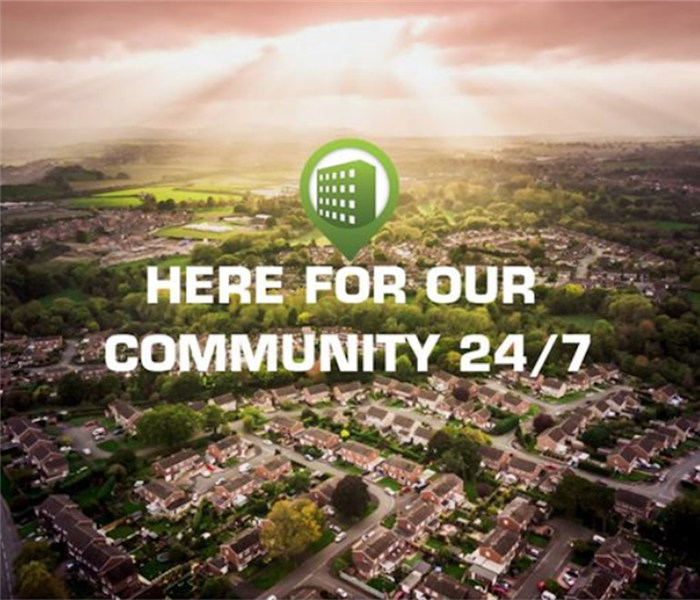 If your commercial property has suffered a disaster in the York County area call us today for help at 803-324-5780. Will is a Production Technician. He works for us part time. He has is a great addition to our team when we need the extra help. He is always there and we can always count on him. His full time job is a firefighter in our county. We are grateful to Will for putting himself in harms way to keep us safe.